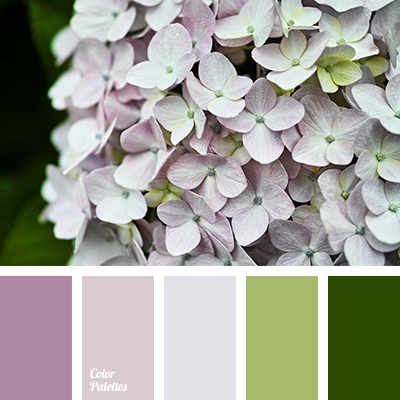 The base of a composition is a delicate purple with shades from which tenderness and ease is emanating. 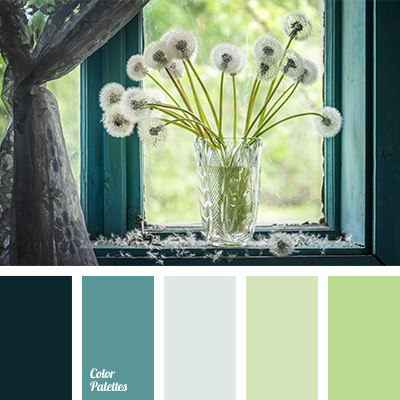 Dark green color emphasizes advantageous this combination. 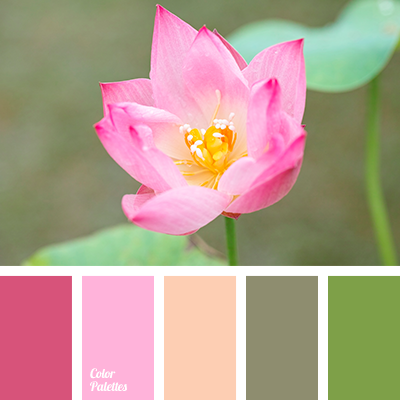 Women clothing or underwear boutique should be designed in this colors. 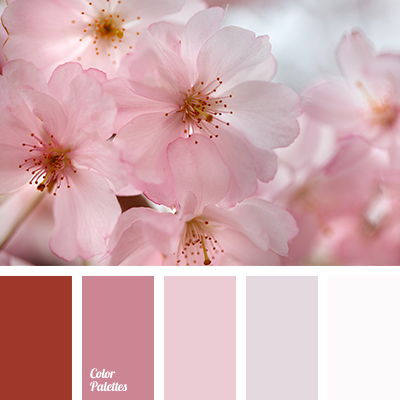 The color scheme will emphasise bright outfits or tender images. It is suitable for decoration of bridal salons, white dresses will look more advantageous in such interior, since all the colors set to a romantic mood. 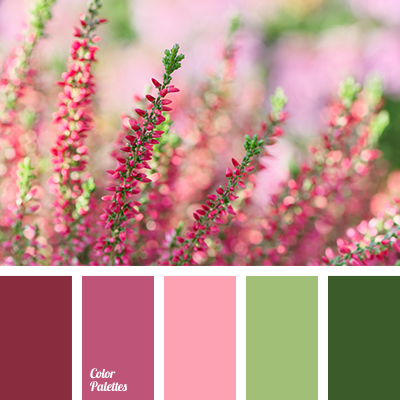 color combination for a wedding, color combination for interior, color of hydrangea, color of pink rose bud, color palette for spring, color solution for a wedding, designer palettes, green and pink, lilac, pastel pink, pink and green, rich lilac, shades of pink, shades of pink color, shades of warm pink.